How do you bring in the New Year? Most people ring in the New Year with a glass of champagne or wine. I will admit that I am one of those people. I love to have a good glass of wine at home or with my Mother In Law to bring in the New Year. 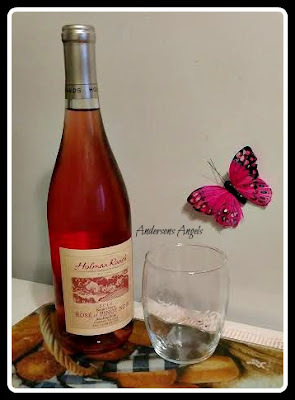 This year I got to enjoy a wonderful glass of Holman Ranch Rose' of Pinot Noir wine. I received 2 bottles of Holman Ranch Wines to review with the Holiday Gift Guide. The wines I received were Rose' of Pinot Noir and Sauvignon Blanc. I was very excited to say the least to try these wines. I love getting local wine and these reminded me of wines I would purchase at my local winery's. I also love to cook with wine and the Sauvingon Blanc is a great white wine to cook with. I am a picky wine drinker; I prefer the white and blush style wines over the reds. I am not sure why because I have tried many reds over the years and haven't found one that I love. 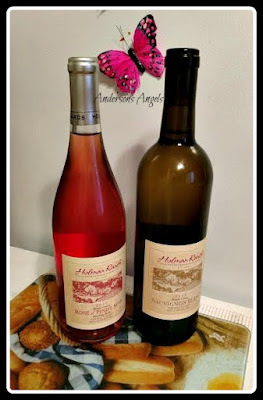 I have several favorites from local winery's when it comes to white and blush wines. I have now added Holman Ranch to the list of the ones that I like and would recommend. The Rose' of Pinot Noir was very light and had a fruity pleasing taste. It would be a perfect wine for a girl's night get together. If you are looking for a good wine then I would recommend checking out all the different wines that Holman Ranch Winery has to offer. Not only are they delicious wines they are also affordable.